Make No Little Plans is the story of a man who shaped some of America's best known places. Few individuals have had more impact on the American city than architect and planner Daniel Hudson Burnham. In the midst of late 19th century urban disorder, Burnham offered a powerful vision of what a civilized American city could look like. He built some of the first skyscrapers in the world; directed construction of the 1893 World's Columbian Exposition that inspired the City Beautiful Movement; and created urban plans for Washington DC, Chicago, Cleveland, San Francisco and Manila—all before the profession of urban planning existed. In fact, some say that he invented it. Daniel Burnham (1846-1912) "was one of the handsomest men I ever saw," as described by employee Paul Starrett. His work sought to reconcile things often thought opposite: the practical and the ideal, business and art, and capitalism and democracy. At the center of it all was the idea of a vibrant urban community. A timely, intriguing story in the American experience, Make No Little Plans: Daniel Burnham and the American City explores Burnham's fascinating career and complex legacy as public debate continues today about how and for whom cities are planned. As Director of Works for the 1893 World's Columbian Exposition in Chicago, Burnham not only envisioned a "beautiful city" but also constructed it in record time despite enormous obstacles. The Fair itself, which recorded over 27 million visits, represents a pivotal shared cultural moment in 19th century America that exposed people to scores of foreign countries and cultures from around the world and to the idea that a city could be beautiful. Burnham's other architectural achievements include over constructing over 500 structures, including architectural icons such as the Reliance, Rookery, Marshall Fields and Monadnock Buildings in Chicago; the Flatiron Building in New York; the Merchants Exchange Building in San Francisco; and Union Station in Washington, DC. He seemed to have been willing to tackle any commission—from the Mount Wilson Observatory in California to Selfridges department store in London. As an international figure, Burnham believed that an ideal city could be both beautiful and commercially efficient. His ideas had enormous influence on towns and cities across America and even abroad. He was an early advocate for parks and open space who understood their importance in fostering a deep sense of community in a democracy. Although his urban plans are criticized for their monumentality and absence of social concerns such as better housing, they have an identifiable coherence. As a man, Burnham was a paradox: politically progressive but conservative in taste; a tough businessman and a Swedenborgian mystic; a pragmatist and a dreamer; and a complex man both efficient and indulgent. Make No Little Plans: Daniel Burnham and the American City was produced by Judith Paine McBrien of The Archimedia Workshop. 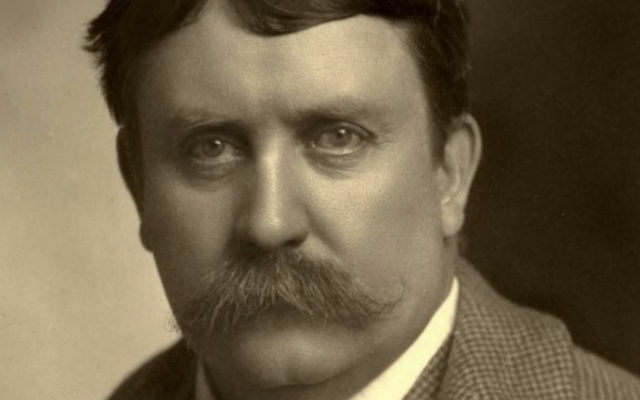 The story of Daniel Burnham. © 2010 The Archimedia Workshop. All Rights Reserved. Text by Judith Paine McBrien. Photos courtesy of a private collection and the Chicago History Museum.